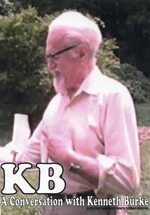 Kenneth Burke has been widely praised as one of the sharpest readers of Shakespeare, Freud, and Marx, among others. He was also well known for turning his many book reviews into essays and excursions of his own, in the interest of tracking down the implications of terminologies and concepts, all the while grappling with some of the greatest minds of the twentieth century. Equipment for Living: The Literary Reviews of Kenneth Burke collects the bulk of his literary reviews, many of them reprinted here for the first time and positioning them as scholarship in their own right. In over 150 reviews, Burke explores poetic, fictional, and critical works to discern the nature of aesthetics, rhetoric, communication, literary theory, sociology, and literature as equipment for living. Along the way, he encounters some of the finest literary and critical minds of his day, including writers such as William Carlos Williams, e. e. cummings, T. S. Eliot, Ezra Pound, Gertrude Stein, Thomas Mann, Virginia Woolf, Ernest Hemingway, Shirley Jackson, Henry Miller, and Marianne Moore; and critics and philosophers such as John Dewey, J. L. Austin, Marshall McLuhan, Edmund Wilson, I. A. Richards, Denis Donoghue, Wayne Booth, Harold Bloom, Van Wyck Brooks, Waldo Frank, and Alfred North Whitehead. This collection organizes reviews across the wide range of fields that Burke engages, including literature, literary criticism, history, politics, philosophy, sociology, and biography. Nathaniel A. Rivers (PhD, Purdue University) is Assistant Professor of English at Georgetown University. Ryan P. Weber, (PhD, Purdue University) is Assistant Professor of English at Penn State Altoona. Together, they received the Emergent Scholar Award from the Kenneth Burke Society in 2005.